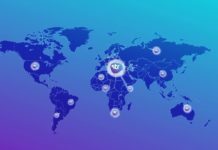 Moolycoin claims to be the first worldwide comprehensive digital startup environment and has been live since January 2018. The project will use Moolyacoin token for transactional purposes and to enable smart-contracts during the agreements between the various users on the network. Although the digital platform has made it easier for startups in the sector to raise capital, investors have to risk in investing in projects they have little understanding about. Moreover, it is a tedious task to gather all the information from different projects to establish their credibility and make the right decision. 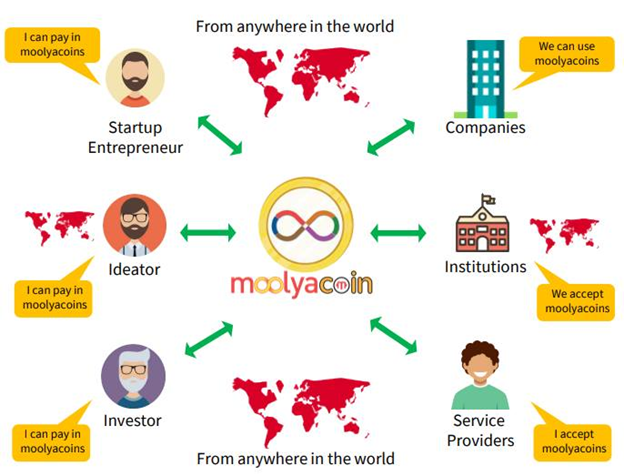 Moolyacoin is a project dedicated to providing a solution to this challenge by making it easy for investors to have access to critical information about various projects that can help them to make their investment decisions wisely.  Moolya uses concepts such as digital offices and business processes among other tools to imitate the offline startup ecosystems. 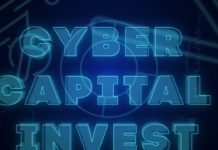 The use of these tools enables the project to provide a unified digital platform that is essential in building global trust among the various players namely the investors and the digital startups. Total coin supply will be distributed in the following ways. 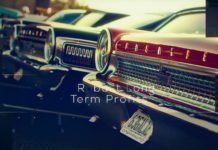 The pre-sale will contribute only one percent of the total tokens. Advisors will contribute 14 percent same as the founders and team. Crowd sale will contribute 20 percent, while reserve will contribute 24 percent. The largest coin supply will come from private sale as it is expected to contribute 27 percent. When it comes to spending the funds, global marketing and collaboration will take 60 percent. This shows that the company is determined to reach as many people as possible using various avenues. OPEX will take 20 percent, the same amount as the one that will be used for the development of the platform. 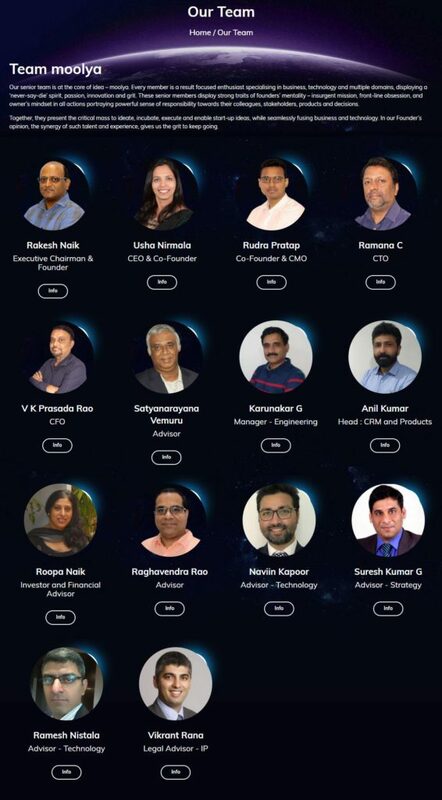 The Moolyacoin project is led by a team of various professionals with experience in different areas. Usha Nirmala C. is the CEO and co-founder of the project. She has over 16 years of experience in international people management. Rakesh Naik is the executive chairman and founder and has worked for over 20 years in the global data supervision and security areas. The same can be said of the other team members. The project is, therefore, led by people with what it takes to propel it to greater heights. The Moolyacoin project is present and active in various social media networks such as Telegram, Twitter, and Facebook. The social media platform is an important marketing tool as it enables the company to reach more people. Moreover, it enables prospective investors and users to engage with the firm. Blockchain has facilitated that growth of digital startup projects. Moolyacoin will be crucial, as it will help in addressing transparency, which is one of the greatest challenges in the sector. Projects wishing to raise capital digitally will subscribe to Moolyacoin, as it will enhance their credibility. Moreover, most investors will now be careful and turn to Moolyacoin to reduce chances of losing their funds.